T. Lynn Walden, founding member of WaldenReynard, PLLC, is an experienced trial lawyer who has been defending a wide variety of products liability and general civil lawsuits for over 25 years from the commencement of litigation and through jury trials as lead trial counsel. 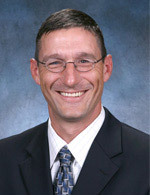 T. Lynn graduated with honors from Texas Tech University, and then obtained his J.D. from Baylor University. He has successfully represented his clients in diverse substantive areas of law including pharmaceutical, toxic tort, medical malpractice, personal injury, and premises liability. T. Lynn has represented defendants in trials and in pretrial proceedings in numerous jurisdictions. He has authored numerous professional papers and given presentations in several locations across the country.